Listening: Leaders have traditionally been valued for their communication and decision-making skills. Although these are also important skills for the servant-leader, they need to be reinforced by a deep commitment to listening intently to others. The servant-leader seeks to identify the will of a group and helps to clarify that will. He or she listens receptively to what is being said and unsaid. Listening also encompasses hearing one’s own inner voice. Listening, coupled with periods of reflection, is essential to the growth and well-being of the servant-leader. Empathy: The servant-leader strives to understand and empathize with others. People deserve to be accepted and recognized for their special and unique spirits. One assumes the good intentions of co-workers and colleagues and does not reject them as people, even when one may be forced to refuse to accept certain behaviors or performance. The most successful servant-leaders are those who have become skilled empathetic listeners. Persuasion: Another characteristic of servant-leaders is reliance on persuasion, rather than on one’s positional authority, in making decisions within an organization. The servant-leader seeks to convince others, rather than coerce compliance. This particular element offers one of the clearest distinctions between the traditional authoritarian model and that of servant-leadership. The servant-leader is effective at building consensus within groups. This emphasis on persuasion over coercion finds its roots in the beliefs of the Religious Society of Friends (Quakers)--the denominational body to which Robert Greenleaf belonged. Conceptualization: Servant-leaders seek to nurture their abilities to dream great dreams. The ability to look at a problem or an organization from a conceptualizing perspective means that one must think beyond day-to-day realities. For many leaders, this is a characteristic that requires discipline and practice. The traditional leader is consumed by the need to achieve short-term operational goals. The leader who wishes also to be a servant-leader must stretch his or her thinking to encompass broader-based conceptual thinking. Within organizations, conceptualization is, by its very nature, a key role of boards of trustees or directors. Unfortunately, boards can sometimes become involved in the day-to-day operations--something that should always be discouraged--and, thus, fail to provide the visionary concept for an institution. Trustees need to be mostly conceptual in their orientation, staffs need to be mostly operational in their perspective, and the most effective executive leaders probably need to develop both perspectives within themselves. Servant-leaders are called to seek a delicate balance between conceptual thinking and a day-to-day operational approach. Foresight: Closely related to conceptualization, the ability to foresee the likely outcome of a situation is hard to define, but easier to identify. One knows foresight when one experiences it. 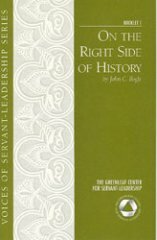 Foresight is a characteristic that enables the servant-leader to understand the lessons from the past, the realities of the present, and the likely consequence of a decision for the future. It is also deeply rooted within the intuitive mind. Foresight remains a largely unexplored area in leadership studies, but one most deserving of careful attention. Stewardship: Peter Block (author of Stewardship and The Empowered Manager) has defined stewardship as “holding something in trust for another.” Robert Greenleaf’s view of all institutions was one in which CEO’s, staffs, and trustees all played significant roles in holding their institutions in trust for the greater good of society. Servant-leadership, like stewardship, assumes a commitment to serving the needs of others. It also emphasizes the use of openness and persuasion, rather than control. Commitment to the growth of people: Servant-leaders believe that people have an intrinsic value beyond their tangible contributions as workers. As such, the servant-leader is deeply committed to the growth of each individual within his or her organization. The servant-leader recognizes the tremendous responsibility to do everything in his or her power to nurture the personal and professional growth of employees and colleagues. In practice, this can include (but is not limited to) concrete actions such as making funds available for personal and professional development, taking a personal interest in the ideas and suggestions from everyone, encouraging worker involvement in decision-making, and actively assisting laid-off employees to find other positions. These ten characteristics of servant-leadership are by no means exhaustive. However, they do serve to communicate the power and promise that this concept offers to those who are open to its invitation and challenge. At our January meeting last year the Greenleaf UK Board agreed that we should, at our 2015 conference, recognise the contribution made to our centre’s work by one of our longest standing friends and supporters. Larry Spears has been a staunch ally for many years, always lending ideas and encouragement when they were most needed, and asking the occasional searching – sometimes awkward - question when it was most warranted. We owe him a real and lasting debt of gratitude. It’s very difficult to sum up in a few words just how much we owe Larry; indeed the whole servant-leadership community is in his debt. During his term as CEO at The Greenleaf Center in the United States, interest in servant-leadership spread substantially, and a number of international centres were established, independent from, but greatly encouraged by Larry and the then Greenleaf Center Board. Greenleaf UK essentially was established when Ralph Lewis and I met back in 1996 and it was Larry who actually brokered that meeting. It was also largely his encouragement that led Ralph and myself to believe we really could get a Centre going here in the UK, and at very short notice - the kind of short notice that would today cause my blood to run cold - we set up our very first conference in 1997 with his help and that of his colleague Richard Smith. That was way back then, and here we are all these years later, planning our 20th annual conference for later this year. Larry has been a regular attendee at our conference for a number of years and has presented on three separate occasions. His support and encouragement have remained a constant throughout the years, and it has been a pleasure to welcome him back to London every November. The Board decided that it should find some tangible way of expressing our thanks and appreciation to Larry. We agreed on a form of words, and then passed the project on to Pat Reid, the Board member working in the creative world, to design and produce something fitting for the occasion. The results, shown here, confirmed that the right person had undertaken the task. Heart: regarded as the seat of emotions, personality, attributes. Mind: the thinking and perceiving part of consciousness. Spirit: a pervading animating principle, essential, or characteristic quality of life. I believe that all three of these are important to understanding the essential nature of servant-leadership. Standard practices are rapidly shifting toward the ideas put forward by Robert Greenleaf, Stephen Covey, Peter Senge, Max DePree, Margaret Wheatley, Ken Blanchard, and many others who suggest that there is a better way to lead and manage our organizations. Robert Greenleaf’s writings on the subject of servant-leadership helped to get this movement started, and his views have had a profound and growing effect on many. In preparing for today’s program, I did a Google search of the words, “servant-leader,” and “Mennonite” and came across some fascinating articles. One in particular that caught my eye was titled, “Sting: A Servant-Leader.” In this short piece, the author commented upon an interview he had heard with the popular musician in which Sting said that he never thought he had all the answers to make his music better, and that he routinely asked his band members for their own ideas. Over the past twenty years, I have asked people to name servant-leaders, and I have almost never heard a rock musician mentioned. Robert Greenleaf said there were contemporary prophets speaking to us all the time, but that we tend not to be listening to them. I am a fan of Sting’s music, and as a longtime listener I tend to agree: Sting appears to be an inspiring example of a creative musician as involving servant-leader. Max DePree’s lovely companion books, Leadership is an Art and Leadership Jazz eloquently make the case for servant-leadership and the musician’s life. 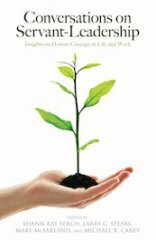 So does a wonderful new book, The Conductor as Leader, by Ramona Wis.
Servant leadership is fundamentally a philosophy for life and work. It starts with each individual but also has important applications for organizations. The four Scanlon principles (Equity, Participation, Identity, and Competence) serve as the philosophical core for the Scanlon Plan—a particular means for companies to implement those principles. 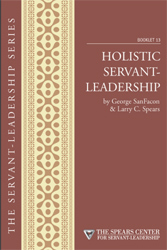 I believe that the place where servant-leadership and Scanlon principles come together is at the beginning—inside the heart-and-mind of each individual seeker who begins by asking him or herself questions like: “What is my greater purpose?” and, “How can I better serve and lead others?” For some people and organizations, the answers to those questions have led them personally to servant leadership, and corporately to become Scanlon companies. I have come to believe that we should insist upon having choices and making decisions for ourselves, rather than having decisions forced upon us by others—no matter how well-intentioned. We should also become powerful advocates for allowing others to have those same rights. Yes, we live in an increasingly interdependent world, and we should take very seriously the careful balancing of personal choice with the greater social good. However, as Gordon Livingston says in his excellent book, Too Soon Old, Too Late Smart: Thirty True Things You Need to Know Now: “Nobody likes to be told what to do. 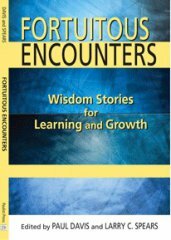 It seems too obvious to mention, and yet look how much that passes for intimate communication involves admonitions and instructions.” This is another place where Robert Greenleaf’s ideas have great relevance—particularly around his encouragement of the use of persuasion as much as possible. Instead of telling others what to do, or what to think, I believe the world would be a better place if we saved our admonitions for ourselves and expected to persuade others (and to be persuaded in turn). 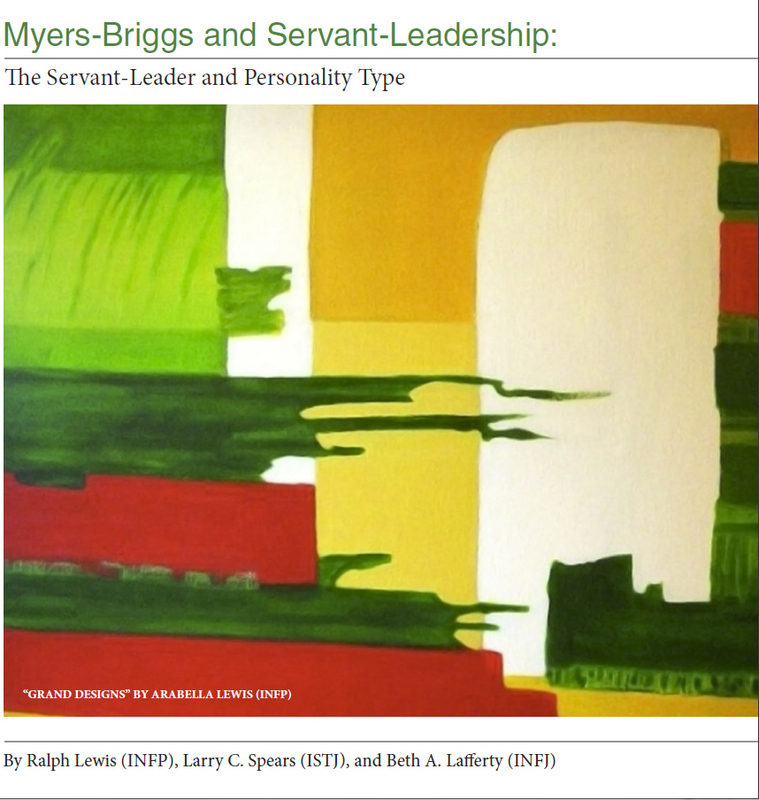 An essential connecting point between servant-leadership and Myers-Briggs work has to do with the notion that everyone should be accepted for who they are, and that all too often in the role of supervisors we make the mistake of trying to change others into our own image. I have had some direct experience with this over the years, both as the recipient of mostly well-meaning supervisors, and in my own well-intended advice to staff members whom I have supervised. In recent years, I am no longer comfortable with the thought of my encouraging others to change, and this growing awareness has heightened my own sensitivity to those instances where others seek to change who I am. I am increasingly of the opinion that we are not only doing a disservice to others by not accepting them for exactly who they are now, but that we may even be doing harm to others, and to ourselves, through such practices. What passes today for standard management practices may someday be viewed as a kind of misuse of power toward others. One important aspect of the Religious Society of Friends is the nurturance of seekers. Greenleaf addressed modern-day seekers in this way when he wrote: “There is a theory of prophecy which holds that prophetic voices of great clarity, and with a quality of insight equal to that of any age, are speaking cogently all the time.” I believe that Greenleaf continues to speak to all of us with power and clarity through his encouraging challenge to each of us to be both servant and leader. So, how does one proceed from intention to practice as a servant-leader? Greenleaf left a clue in the name he first used for the fledgling, non-profit organization that he founded in 1964: The Center for Applied Ethics. Evidently, in some way or at some level, he viewed ethics, or moral reasoning, as a compass or pathway for effective leadership and a better world. According to ethicists, sound moral reasoning requires a holistic approach; that is an appraisal of three distinct dimensions―motives, means, and ends. Motives are about intentions; “why” we do something. Means are about methods; “how” we do it. And Ends are about outcomes; “what” we are trying to accomplish. Ethics demands that each of these be judged as right, good, and desirable by both those involved and those affected. Separately apprising each of these dimensions of servant-leadership—motives, means, and ends—can help clarify both its philosophy and practice. It can also lead to insights about how these dimensions relate to one another, as well as the specific work that servant-leaders are called to do and live out in each domain. I recently had the distinct privilege of visiting the Philadelphia Freedom Schools (PFS), where I learned about a significant and inspiring program underway to encourage young people in their understanding of servant-leadership, and to live their lives as exemplary servant-leaders. The PFS program was inspired by the historic mobilizing efforts organized by the Student Nonviolent Coordinating Committee (SNCC) in Mississippi during the summer of 1964. The original Mississippi Freedom Schools of the 1960s served as inspiration in the creation of Philadelphia Freedom Schools. I believe that we are here to care for and to love one another. I believe that my spirit is inextricably linked to the act of serving others. How I choose to serve others is expressed in a myriad of conventional and unconventional forms. I define religion as the act of rebinding: ourselves, ourselves to others, and ourselves to the universe. I strive to live my life as an inspirited servant-leader, by which I mean that I seek to be someone who helps to build a shared sense of community and encourages institutions to serve the common good. I have a deep commitment to honesty, fair treatment, and justice. I believe in the importance of asking questions of others, and especially of myself. I am hopeful of finding meaningful answers to some of my remaining questions, but I am increasingly at peace with the belief that there are some answers that I may simply never find. I am a seeker. The OnTarget Board Member: 8 Indisputable Behaviors is aligned with the Policy Governance Model created by Dr. John Carver, who, like Robert K. Greenleaf before him, is a revolutionary of the very best kind. The Policy Governance Model has provided the means for trustees to live out Greenleaf’s challenge to boards to act as both servant and leader. The time has come to raise awareness and practices of both servant-leadership and the Policy Governance Model in tandem with one another, rather than as separate ideas. In so doing, we may yet succeed in transforming the hearts and minds of individuals, institutions, and society. Some organizational leaders have concluded that servant-leadership is the right thing to do, and have subsequently embraced it. This has certainly been an important way in which servant-leadership has grown and advanced over the past forty years. However, I think it is vitally important to note that Greenleaf titled his essay, The Servant as Leader, and not The Leader as Servant. While encouraging leaders to act as servants was a remarkable idea; asking servants to act as leaders was (and remains) a truly radical idea! It is also an idea that goes against our expectations of contemporary culture. 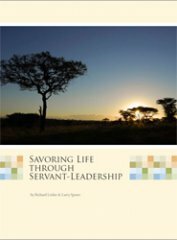 It is this fact that makes servant-leadership such a unique and potent philosophy. We believe that one test of spirit may be how each of us chooses to answer the question: “Why do we get up in the morning?” While there is no single secret to living an inspired life, for us it includes a focus on service to others, seeking meaning, and solitude. For most of us, answering the question involves a big shift as we slow from hurry sickness, to quiet, to still. However, it is worth the effort, for it is out of deep stillness, and listening to our inner voice, that meaningful change and action may occur. It was Greenleaf’s own journey. It has been our personal journey. Perhaps it is your journey, too. 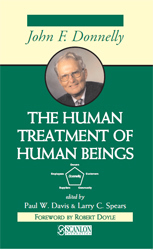 Robert Greenleaf’s writings have influenced several generations of people. 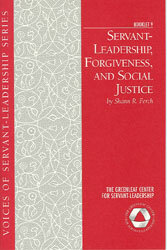 Part of Greenleaf’s great contribution to the world was the simple act of bringing together the words “servant” and “leader” in an innovative hyphenated word, “servant-leader.” In providing us with a name for something that many of us intuitively understand, he has helped to link together many who might otherwise have felt even more isolated in their beliefs and in their workplaces. I believe that leading others can be quite meaningful. Serving others is better yet. But, both serving and leading others—at least for me, is the best. 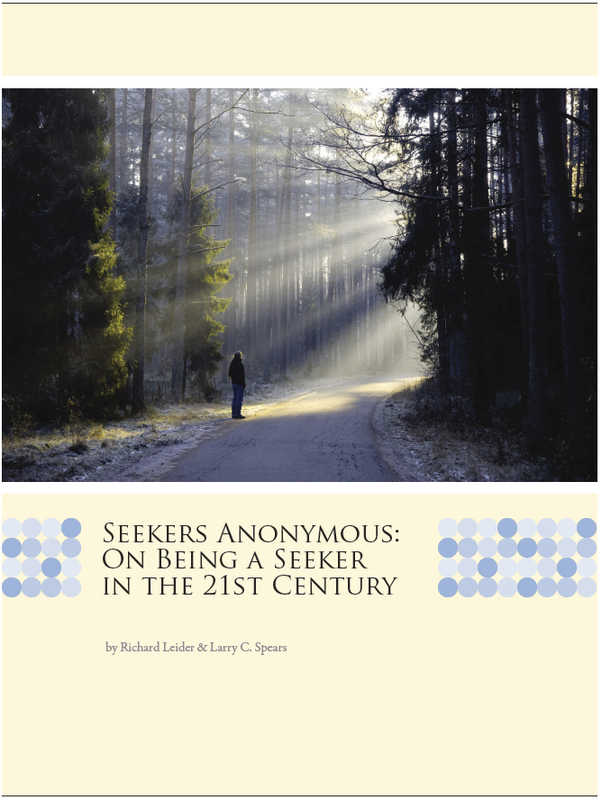 It offers opportunities for wholeness, for making a difference in the world, and for helping to fulfill Bob Greenleaf’s “Best Test” of a servant-leader: Is one healthier, wiser, freer, more autonomous, more likely themselves to serve others? And what is the impact on the least privileged in society? Will they benefit, or at least, not be further deprived? --Larry C. Spears, Presentation, Accrediting Commission of Career Schools and Colleges of Technology (ACCSCT), Arlington, Virginia, December 2008. 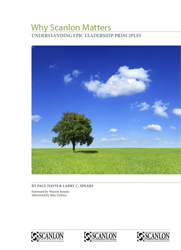 The literature on leadership includes a number of different listings of character traits as practiced by leaders. 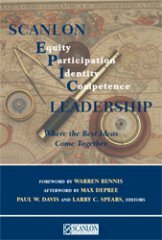 I particularly like Warren Bennis’s short list as contained in his book, On Becoming a Leader, in which he identifies, “vision, inspiration, empathy, and trustworthiness” as key characteristics of effective leaders. (p. 140). Much of the leadership literature includes as an implicit assumption the belief that positive characteristics can and should be encouraged and practiced by leaders. Robert K. Greenleaf is someone who thought and wrote a great deal about the nature of servant-leadership and character. 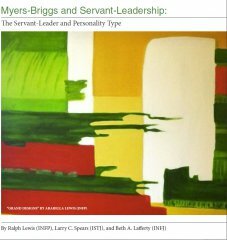 The term ‘servant-leadership’ was first coined in a 1970 essay by Robert K. Greenleaf (1904-1990), entitled The Servant as Leader. Greenleaf, born in Terre Haute, Indiana, spent most of his organizational life in the field of management research, development, and education at AT&T. Following a 40-year career at AT&T, Greenleaf enjoyed a second career that lasted 25 years, during which time he served as an influential consultant to a number of major institutions, including Ohio University, MIT, the Ford Foundation, the Mead Corporation, the American Foundation for Management Research, and Lilly Endowment Inc. I am grateful to have met Bob Greenleaf, and to have served as President & CEO of The Greenleaf Center from 1990 to 2007. In 2008, I launched The Spears Center, where I continue to carry forward the idea of servant-leadership as defined by Greenleaf. 3. adopting the practice of moral symmetry―balancing the legitimate needs of all those affected by the enterprise. GONZAGA UNIVERSITY SCHOOL OF PROFESSIONAL STUDIES HONORS WORLD’S FOREMOST SERVANT-LEADERSHIP SCHOLAR LARRY C. SPEARS SPOKANE, Wash. – Larry C. Spears, the world’s foremost scholar in the field of servant leadership, was appointed as the Gonzaga University School of Professional Studies’ inaugural Servant Leadership Scholar, effective Tuesday, Aug. 24, 2010. Spears has been affiliated in multiple ways with Gonzaga University and its many leadership programs for the past three years, teaching undergraduate, master’s, and doctoral students. He has illumined the life and work of Robert K. Greenleaf, the founder of servant-leadership, by publishing hundreds of articles, essays, newsletters, books and other publications on servant-leadership worldwide. Spears is president and CEO of the Indianapolis-based Larry C. Spears Center for Servant-Leadership, Inc., founded in 2008. He served for 17 years (1990-2007) as president and CEO of the Robert K. Greenleaf Center for Servant-Leadership. 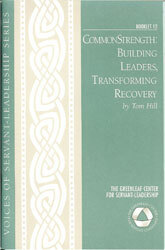 Greenleaf coined the phrase “servant leadership” in “The Servant as Leader,” a 1970 essay he published. Many of the top 20 organizations in Fortune Magazine’s annual list of the 100 Best Companies to Work for are purposefully servant-led companies, including Starbucks, Southwest Air, and TDIndustries, said Professor Shann Ferch, chair of Gonzaga’s Doctoral Program in Leadership Studies. 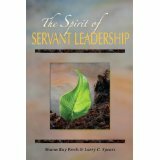 “Perhaps most importantly, Larry’s understanding of the interior of the leader, listening, and foresight, have become foundational to personal and organizational discernment in servant-leadership,” Ferch said. The Servant Leadership Scholar designation is intended to honor Spears’ international academic contributions, recognize Gonzaga’s connection to him, and ensure Gonzaga students will have access to the preeminent thought leader in servant leadership for years to come. Larry will continue to reside in Indianapolis, while making more frequent visits to Spokane. During the past 20 years, Spears has helped shape global understanding and awareness of servant-leadership. His conception of the 10 characteristics of servant-leadership, gleaned from his in-depth study of Greenleaf's works, has become a significant and enduring contribution to the field worldwide. The Gonzaga University School of Professional Studies’ Servant-Leadership Scholar, among other criteria, reflects an enduring legacy of encouraging others to become servant leaders; benefits (or at least does not further deprive) the least privileged of society; is a luminous example of cura personalis, a Latin phrase that means “care for the whole person”; and has established an enduring legacy of thoughtful engagement of the mind, heart, and spirit to help heal the mind, heart, and spirit of the world. The Scholar also will conduct engagements to enhance and expand the sharing of servant-leadership knowledge and research. Examples of forums that might be developed include, but are not limited to the following: The Robert K. Greenleaf Lectureship Series, the Servant Leadership Writing and Development Series, the Servant Leadership Cura Personalis Colloquium; and senior advisory editorship of The International Journal of Servant Leadership, a role Larry Spears has held since the inception of the prestigious journal seven years ago. Spears has been interviewed by dozens of major daily newspapers, magazines and other publications nationwide. A 2004 TV interview of Spears by Stone Philips on NBC’s “Dateline” helped introduce servant-leadership and Greenleaf to 10 million viewers. 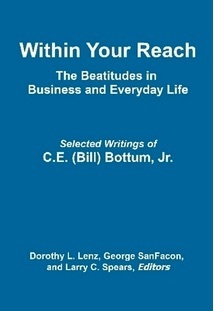 He created and edited various books on servant-leadership and has contributed to many others. He also served as the series editor of the Servant-Leadership Essay Series, and is senior advisory editor for The International Journal of Servant Leadership (2005-Present). Since 1990, Spears has given more than 200 keynote speeches on servant-leadership on four continents, a dozen countries, and 40 states. 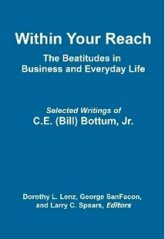 He knew Robert Greenleaf and first encountered Greenleaf’s writings on servant-leadership in the early 1980s while working with the Quaker magazine, Friends Journal. After Greenleaf died in 1990, Spears examined Greenleaf’s personal papers and discovered dozens of previously unpublished essays written by Greenleaf over a 50-year period. Many of these essays were later collected and published in 1996 in two volumes: On Becoming a Servant-Leader and Seeker and Servant.